Zebra’s popular QLn Series, QLn220/QLn320/QLn420, of printers has recently been enhanced with exciting new features. Now “Made for iPOD/iPhone/iPad” (MFi) certified, these printers support Apple mobile operating systems as well as Android and Windows Mobile platforms. What’s more, the complete family of QLn printers now leverages Zebra’s Link-OS environment, making it easier than ever to integrate into operations and manage from any location around the globe! And best of all, you get all of these new features without having to pay extra – the cost is the same as the older models! And as if that weren’t enough, Zebra is also excited to announce the release of their QLn320 and QLN220 Healthcare Printers, which is an extension of their user-friendly QLn printers that have been designed specifically with healthcare facilities’ needs in mind. They are constructed using durable, disinfectant-ready materials so they can be cleaned quickly and easily between each use. Collecting and labeling information at the patient’s bedside has never been more efficient! 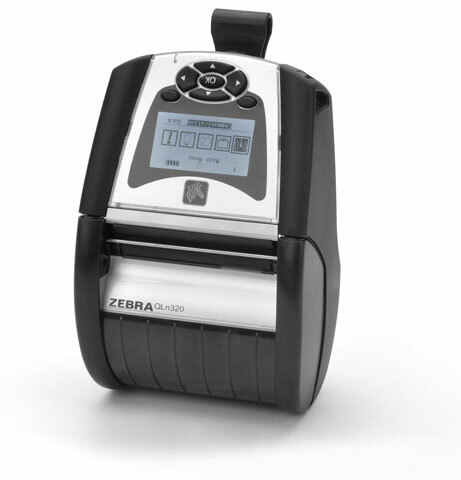 For assistance finding the right mobile Zebra printer for your needs, contact us at BarcodesInc.